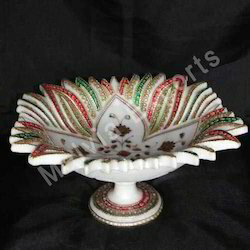 We claim to possess the expertise in offering a wide collection of Marble Fruit Bowl which is highly appreciated in the market. The range of Marble Bowl is made from supreme quality materials, which lends an elegant and graceful appearance to the simplest decor. 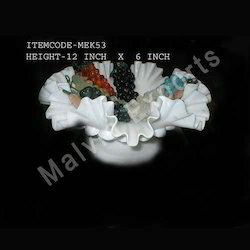 Available in diverse sizes, colors and texture, this attractive range of Marble Fruit Bowl is offered to the valued clients at competitive prices. 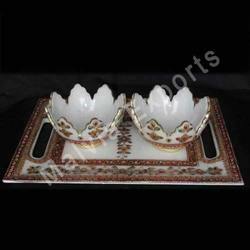 Marble Fruit Bowls offered are made available by usand comprises bowls for serving fruits. 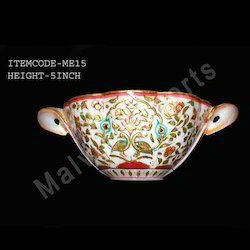 Made available in 9"x 6" of height, these are appreciated and demanded in the market for their flawless designs and intricate crafting work. 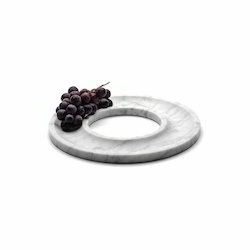 Made using quality marble, these fruit bowls provide for elegant as well as graceful appearance and also match up to the demands of interior décor. We can also design these in other desired design and finish options. 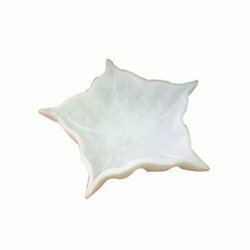 Marble Fruit Bowl Leaf Painted offered are made available by us under item code ME015 and comprises leaf painted fruit bowl of 5" inch in height. Featuring flawless finishes, these are developed from quality marble stone that provides in the end piece flawless finishes. 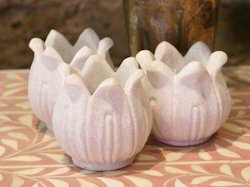 Providing for elegant and graceful appearance, we can also offer these in different sizes, textures as well as colors that helps in enhancing its overall décor value. 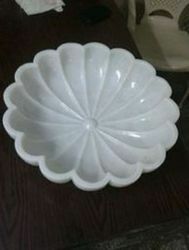 We are a leading manufacturer and supplier of Marble Fruit Bowl.